Jason came back from the grave again this weekend and just murdered the competition. "Friday the 13th" had all the luck as the remake of the 1980 slasher flick opened with $42.2 million, putting blood and guts ahead of hearts over Valentine's Day weekend. That was a record for the horror genre, topping the $39.1 million debut for 2004's "The Grudge." Accounting for today's higher admission prices, "The Grudge" sold slightly more tickets, however. 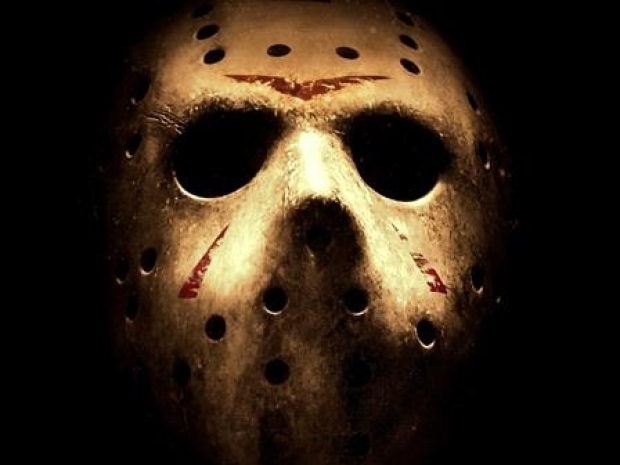 Released by the Warner Bros. banner New Line Cinema, "Friday the 13th" updates the grisly story of killer Jason Voorhees and his rampage among youths at a secluded summer camp. On opening day — which fell on Friday the 13th — the remake pulled in $19.4 million, slightly more than the $19 million it cost to make the movie. Welcome Back to a Chilling "Friday the 13th"
Jason Voorhees returns in this heart pounding re-imagining of the classic horror film, "Friday the 13th," and he's faster and scarier than ever before. "It's a great title, and it was a great weekend to open. We had Friday the 13th and Valentine's Day," said Dan Fellman, head of distribution for Warner Bros. "I've seen it play a number of times, and the audience is with it the whole way. A lot of screams and a lot of laughs." The "Friday the 13th" series has been one of the most-enduring horror franchises, spawning 10 sequels, including the crossover grudge match "Freddy Vs. Jason," pitting Voorhees against the boogeyman from "A Nightmare on Elm Street." The movie bumped off the previous weekend's top earner, the Warner-New Line romance "He's Just Not That Into You," which fell to second-place but held up strongly over Valentine's weekend with $19.6 million, according to studio estimates Sunday. Among other new movies, Disney's comedy "Confessions of a Shopaholic" landed in fourth-place with $15.4 million, while Sony's thriller "The International" is No. 7 with $10 million. "Confessions of a Shopaholic" stars Isla Fisher as a magazine retail writer coping with her own compulsive buying habits. "The International" features Clive Owen as an Interpol agent and Naomi Watts as a prosecutor uncovering a bank's global misdeeds. The combination of solid debuts and strong holdovers lifted Hollywood to its best President's Day weekend ever. The three-day overall total of $190 million blew away the previous best of $157.1 million over President's Day weekend in 2007, according to box-office tracker Media By Numbers. For the year, revenues continue to soar, with revenue at $1.44 billion, up 22 percent through the same point in 2008. Factoring in 2009's higher ticket prices, movie attendance is running 20 percent higher than last year's. "Hollywood seems to be unstoppable right now. With this notion of the recession helping the box office, I guess this is just another example of that," said Paul Dergarabedian, president of Media By Numbers. "People want to go to the movies and just have fun and escape. 'Friday the 13th,' as scary as your mortgage banker is, Jason's scarier." Academy Awards front-runner "Slumdog Millionaire" heads into Oscar weekend with sturdy box-office momentum. The Fox Searchlight release took in $7.2 million, raising its 14-week total to $86.5 million. "Slumdog Millionaire" has dominated at earlier Hollywood honors and is considered the likely best-picture winner at next Sunday's Oscars. "The awareness for the film just keeps increasing every week," said Richard Shamban, vice president of distribution for Fox Searchlight. "The publicity from the awards themselves will continue to help, win or lose." 1. "Friday the 13th," $42.2 million. 2. "He's Just Not That Into You," $19.6 million. 4. "Confessions of a Shopaholic," $15.4 million. 6. "Paul Blart: Mall Cop," $11.7 million. 7. "The International," $10 million. 8. "The Pink Panther 2," $9 million. 9. "Slumdog Millionaire," $7.2 million.